Occasionally I make lunch for the staff meeting at my husband’s office. This week was the week I needed to make it. Last week I mentioned that life had been a little crazy, so I kept it easy with the lunch this time. This is what I took. I just bought meat, cheese, and chicken salad from Costco to make it easy. 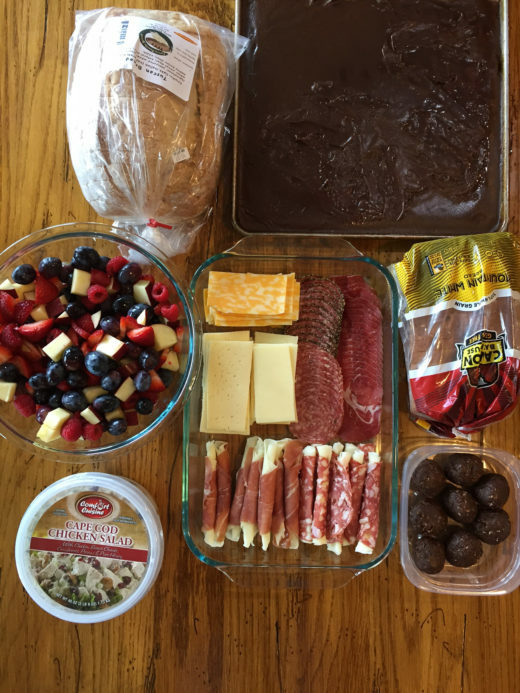 The recipe for the allergy friendly protein balls and the gf cake coming soon. Several at the office eat gf so I made the cake gf. One has a lot of food restrictions so I made the allergy friendly protein balls. A lot of people wouldn’t tackle gf allergy friendly stuff, but I can so do that. I love to keep food simple and make things everyone can enjoy! I cleaned out my freezer last weekend to make room for the half of beef we buy each year from a local rancher. I found some blueberries that needed used up. 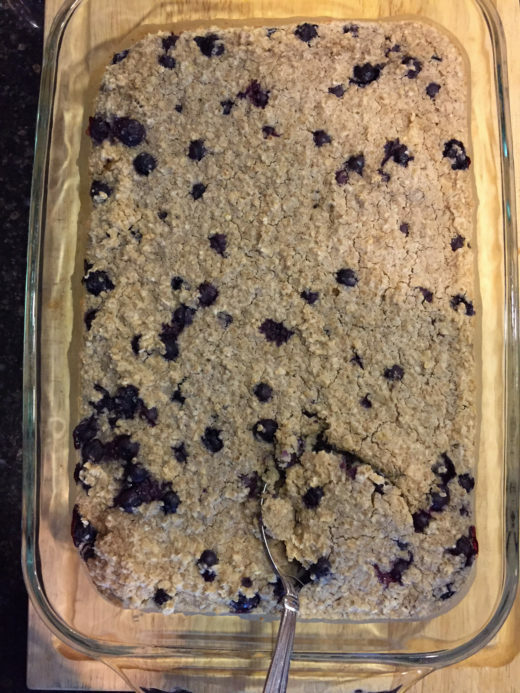 I made my triple berry baked oatmeal, but used just blueberries this time. It made for a great Sunday morning breakfast. I get asked a lot of questions about freezer recipes. 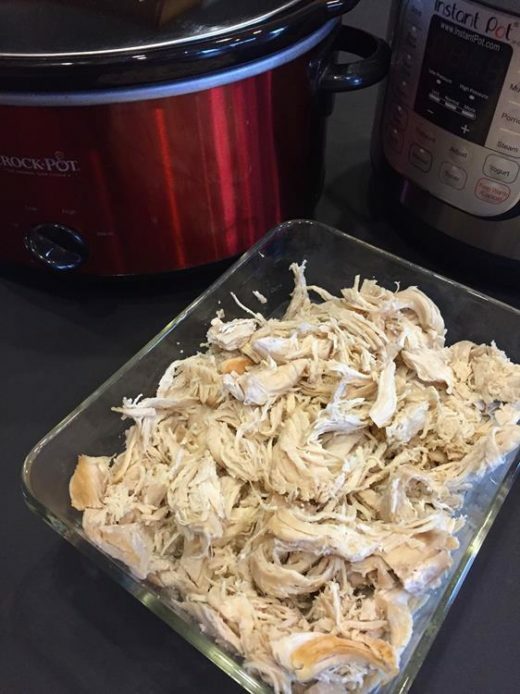 One of the most asked questions is how I cook and freeze chicken. Monday I am sharing five different ways I like to cook it. I am also sharing a few tips for shredding and freezing it. Later this month I will share my favorite recipes for using it. So stay tuned for those. And I will leave you with this spring in the country picture I took while I was out walking the other day. This time of year is so pretty. 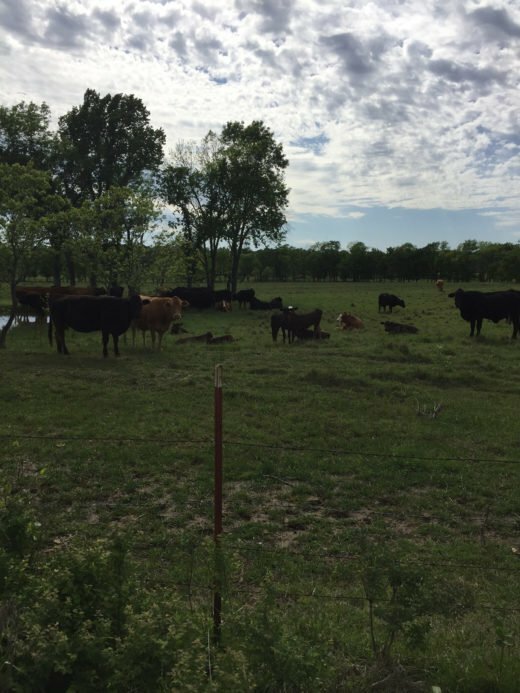 My allergies don’t like it, which means I have a love hate relationship with spring, but I have to admit it is one of the prettiest times of year to live in the country!